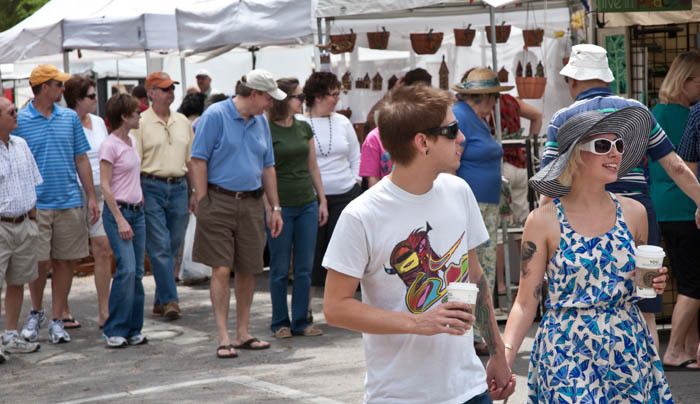 The Santa Fe College Spring Arts Festival is one of Gainesville’s largest events, attracting over 100,000 attendees statewide. 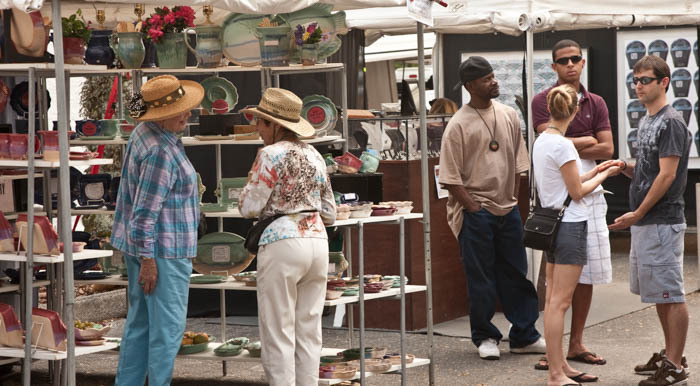 The event transforms NE First Street, in downtown, to a bustling promenade of arts, crafts, entertainment–and just plain “people watchng”. This year is the 49th annual event, and is scheduled for April 7 and 8. 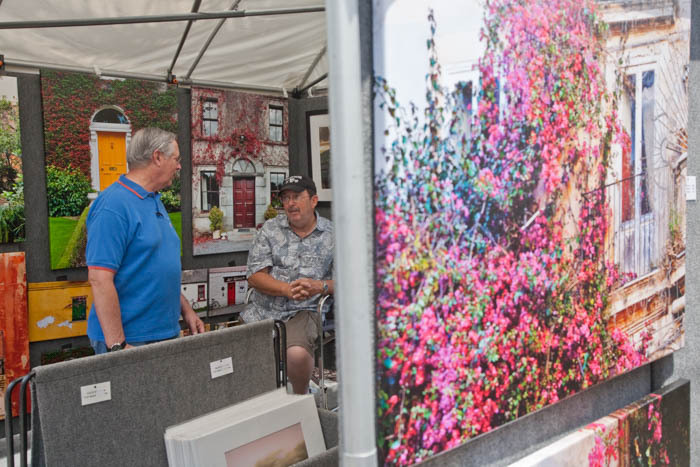 In addition to all forms of visual arts (2D and 3D), there will be a Children’s Hands-On Art Jungle, plenty of tasty food, and live entertainment at the Bo Didley Plaza and the Actors’ Warehouse stages. Expect a fun time for all your family!